Love at first sight is real—especially when it comes to the figure-flattering jeans or the perfect dress for that event. Plus, our Stylists are always on the hunt to find your new favorite brands. 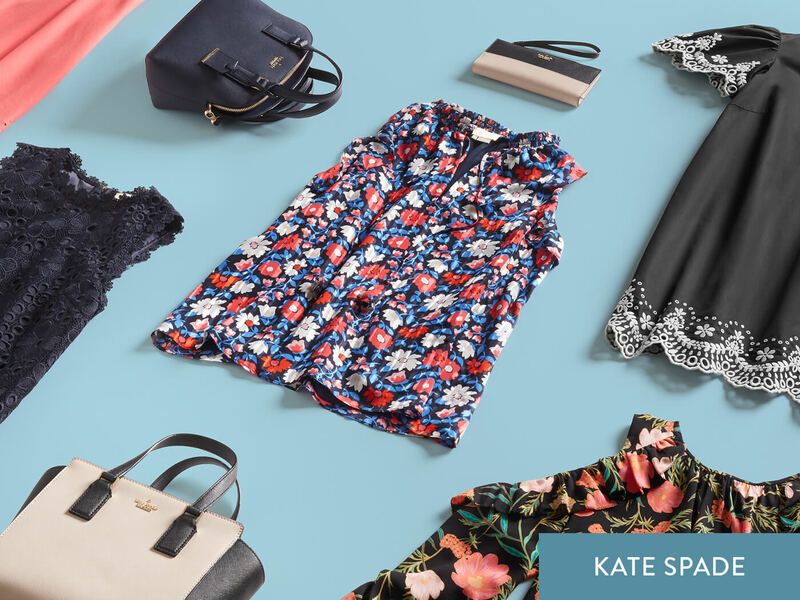 With an even greater selection of labels that we’ve added—we’re talking Sole Society, Cupcakes and Cashmere, Kate Spade and more, we’re certain that you’ll find new favorites in every Fix. Ready to take your look to the next level? Here’s how to get your favorite brands and discover new ones! Select your spending preferences for each item type. Our premium and new brands start at $100 for tops and $150 for bottoms and dresses. The best part? You can opt in and out of these higher price preferences at any time! New to Stitch Fix? Take your style quiz today! Keep reading to see the brands our Stylists are talking about now! Bright, bold and timeless—get ready to see showstopping tops, dresses and bags from this famed handbag-turned-clothing line. How many of us are avid readers of the namesake blog this line is named after? Well, get ready to bring feminine, fresh styles from Emily Schuman straight to your Spring and Summer wardrobe. 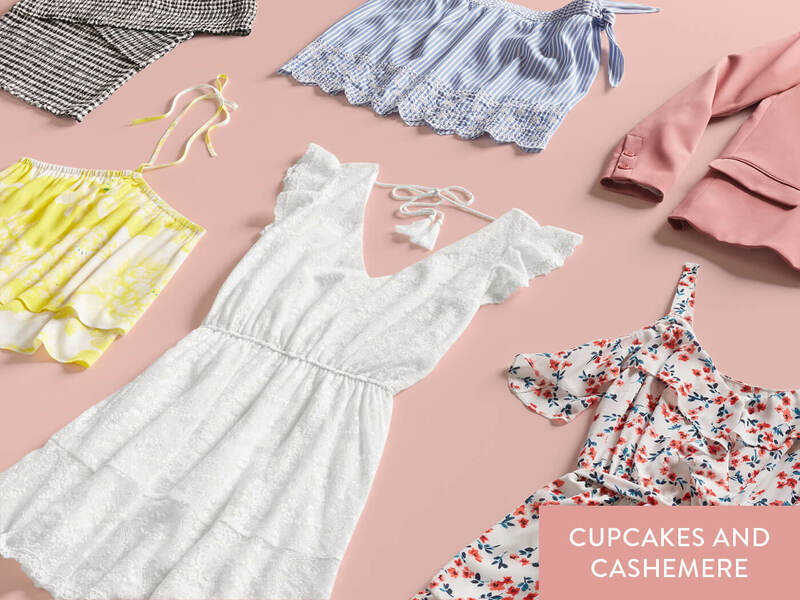 Be sure to let your Stylist know that you’re looking to try Cupcakes and Cashmere! Jeans that stretch, bend and hold their shape? 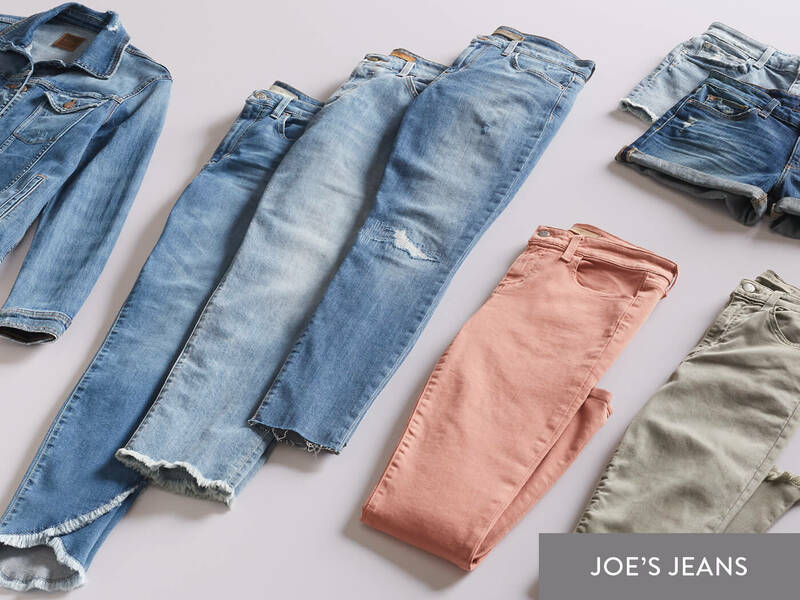 Get to know our latest favorite brand—Joe’s Jeans. Joe’s redefines everyday style with its inherently Los Angeles, CA sensibility. Get to know more denim brands we carry, right this way. 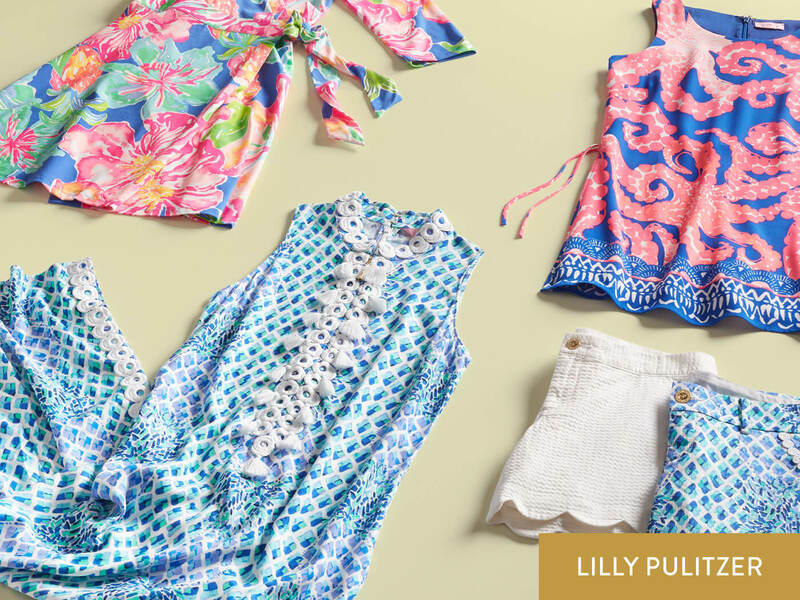 Straight out of the sunshine state, get to know Lilly Pulitzer’s fun and fresh prints that are sure to catch everyone’s eye—and not just on the beach. Wear her pieces as a beach cover-up during your next vacation or out on the town during a bright, sunny day. 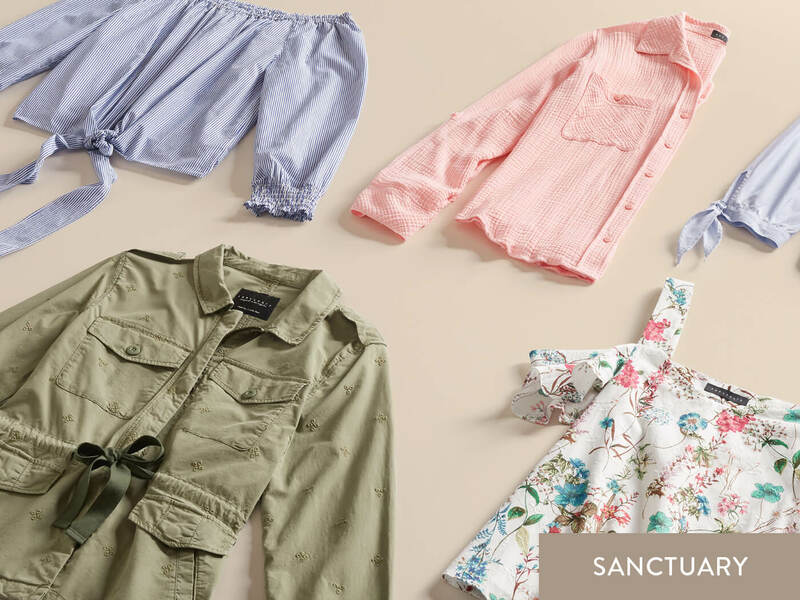 Casual, cool and easy-to-wear, those are a few of our favorite things about Sanctuary. Pair their easy-to-wear tops with your favorite jeans or shorts this summer and you’ll be ready for the season, anytime, anywhere. Would you call yourself a bag lady? How about a shoe fiend? If either of those ring true, you’re going to love Sole Society. 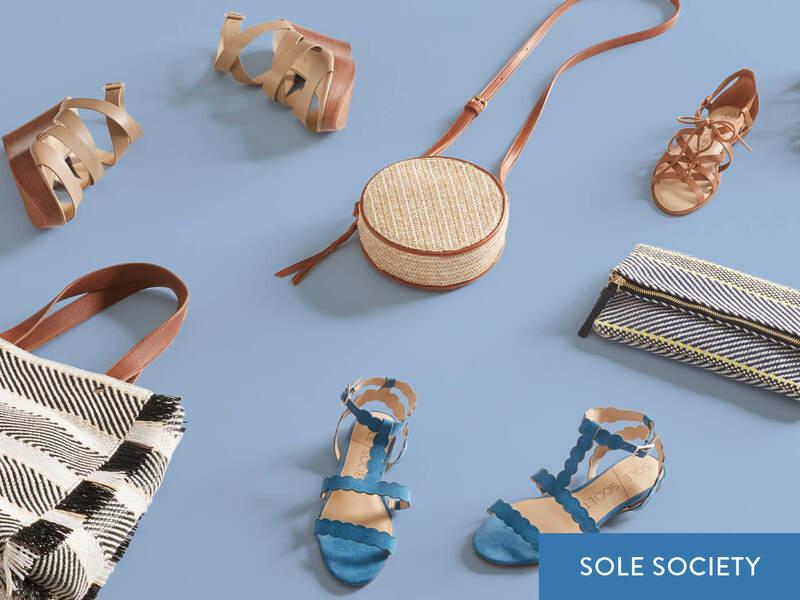 With the trendiest kicks and the handbags that you’ll want to have slung over your shoulder, get ready to spice up your wardrobe with Sole Society. Want to try out our freshest brands? Update your spending preferences now!